Dr. Matthew Doppelt is proud to offer patients advanced laser treatments such as Smartskin+ to dramatically improve the skin’s natural texture and tone. The team at Southeastern Dermatology is dedicated to assisting patients in and around the area of Knoxville, TN with a wide range of cosmetic and medical dermatology concerns. When men and women visit the practice of Dr. Matthew Doppelt, board certified dermatologist, looking for something that can rejuvenate and resurface the skin, they may be introduced to a brilliant new treatment called Smartskin+. Smartskin+ delivers energy beams in to the skin with an advanced skin resurfacing laser from Cynosure, leader of aesthetic lasers. 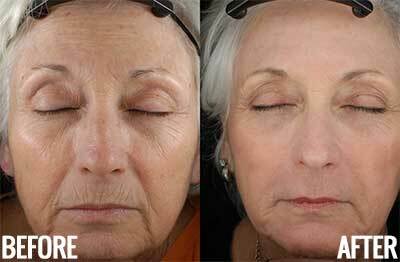 These fractional laser energy beams penetrate the skin while removing old damaged skin cells. Smartskin+ reduces hyperpigmentation and virtually erases unsightly lines and wrinkles resulting in more even skin tone, smoother texture and more youthful looking skin. Smartskin+ allows you to still look like you-only better. After Smartskin+ laser resurfacing the body naturally rebuilds healthy skin cells, replacing the old skin cells cleared by resurfacing. This process also involves collagen production deep with in the skin, leaving you with a more youthful, revitalized appearance. Smartskin+ is customizable for all skin types and social lifestyles. Smartskin+ can be one, two or multiple quick in-office treatments depending on each patients aesthetic needs and social downtime. Smartskin+ is a procedure that can be done just once for a quick boost in the skin’s health and appearance, or regularly to achieve the most desirable results. 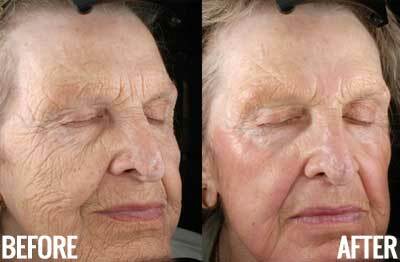 These treatments are done in our office and many patients find that continued visits will gradually improve one’s youthful look with a rather non-invasive laser treatment. Because there may be some redness after treatment, most patients will schedule their Smartskin+ appointments on a Friday afternoon and allow for healing and social downtime over the weekend before returning to work and regular activities on Monday morning. If you are considering the benefits of using Smartskin+ to enhance your natural appearance and help address the unwanted signs of aging and imperfections that may be negatively affecting your appearance, contact the team of Southeastern Dermatology today. We can make a recommendation regarding the best possible option for resurfacing and help guide you through the process of choosing the most appropriate type of treatment for your skin type. Schedule your complimentary consultation today and see which level of Smartskin+ is best for you.